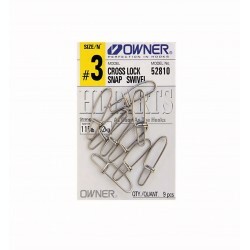 From Owner a snap that counts when the resistance is necessaryStainless steelEasy change of lureGreat resistance-test..
From Fish Bite a secure snap for many fishing methods.Strong and easy open - close ..
For heavy fishing,Jigging,Trolling and deep Light boat fishingThis swivel with snap is the best you can chooseThe swivel is ball bearing with great resistance..
Classic swivel with safety snap from TopOne...For several techniquesStrong with value of money.. 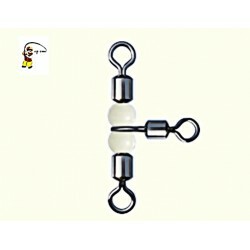 Excellent swivel from Owner Crane...Strong test for all fishing typesBig size,small swivel..
With the quality of Owner for many techniques...Strong double swivelBig size,small swivel.. 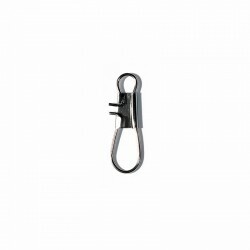 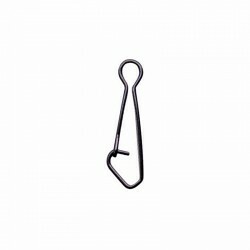 Excellent swivel with snap from TopOne.For strong fishing great rolling swivel with hooked snap from Coast or Boat9 sizes for you to choose .. 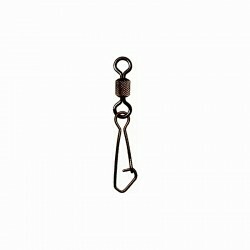 The well known swivel from Topone with very strong test ...In 6sizes for all your techniquesPackage: 10 or 12 pcsTest kg : from 27 to 47..
Swivel from TopOne for Light Boat Fishing..You can put Joints on your rigFor several line's diameters .. 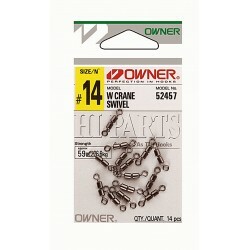 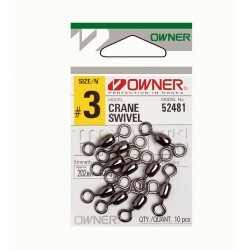 Excellent swivel with pear breads from TopOne...Use it for your rigs from coast or boat.. 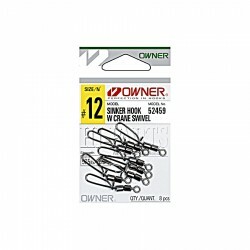 Enhanced rolling swivel from TopOne...For several techniques.. 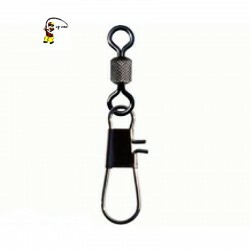 Excellent swivel with snap from Owner...Strong with double swivel Crane type and also snap quick openingIn 4 sizes with 12pcs each..